Ecological forestry to sustain biodiversity across the landscape. Welcome! Our background in forestry began in 1974 in the Pacific Northwest (Washington State). After returning to my home state of New Jersey, I (Bob Williams) have been providing forestry services here for the last 25 years. Today, this firm focuses on helping forest landowners, both corporate and private, achieve their goals for their forested lands. We have completed projects throughout the tri-state area and now assist landowners in the management of over 148,000 acres of forest lands. More than just a management plan. Forest management, woodland management, and forest stewardship plans at Pine Creek Forestry are more than documents. It is our belief that forestry is, first and foremost, a social science and our success depends on our investment in relationships with our clients. Our staff works diligently to provide ongoing planning, support, and administration throughout the duration of our clients participation in forest land activities. 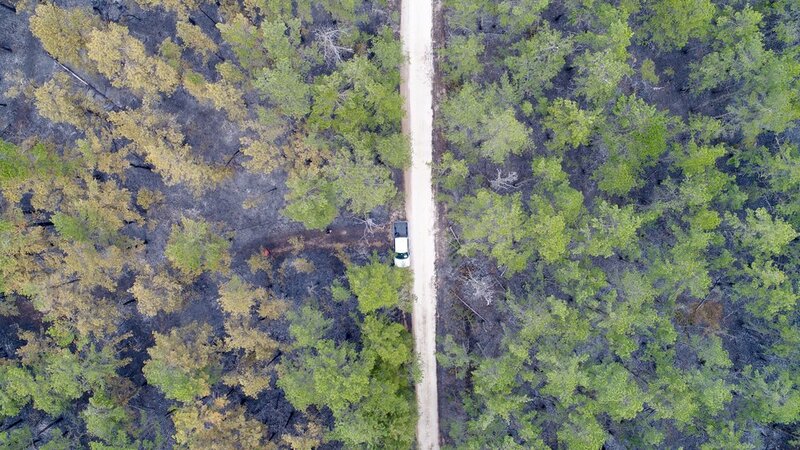 Forest health and biodiversity are intrinsically linked to forest fire, especially in New Jersey. Forest fire management plays a key role in wildfire mitigation, protection of property, and sustaining the overall ecosystem function of the land. Atlantic White-cedar is a priority resource with a State supported initiative to offset further decline of the resource. Pine Creek Forestry has successfully demonstrated restoration of thousands of trees to date and are happy to help others. Our philosophy is founded on Ecological Forest Management. This means we manage for the sustainability, health, and biodiversity of the land first and foremost. Secondarily, consideration of economic and social objectives is incorporated and calibrated. We believe that developing sustainable, locally-sourced markets around viable resources is paramount to conservation into perpetuity. Pine Creek is available for guidance in timber sale administration, minor forest products, and natural resource chain of custody consulting. Pine Creek Forestry is committed to guiding local policy to maintain the independence of landowners to manage their lands. We believe empowerment of private land holders is critical to the overall management of New Jersey forests. As professionals, we strive to represent the values of our clients. Recreation is fundamental to human-environment interactions. We believe that developing new opportunities and maintaining present recreation allows for greater participation in the environment. This ultimately benefits conservation through participation and communication.